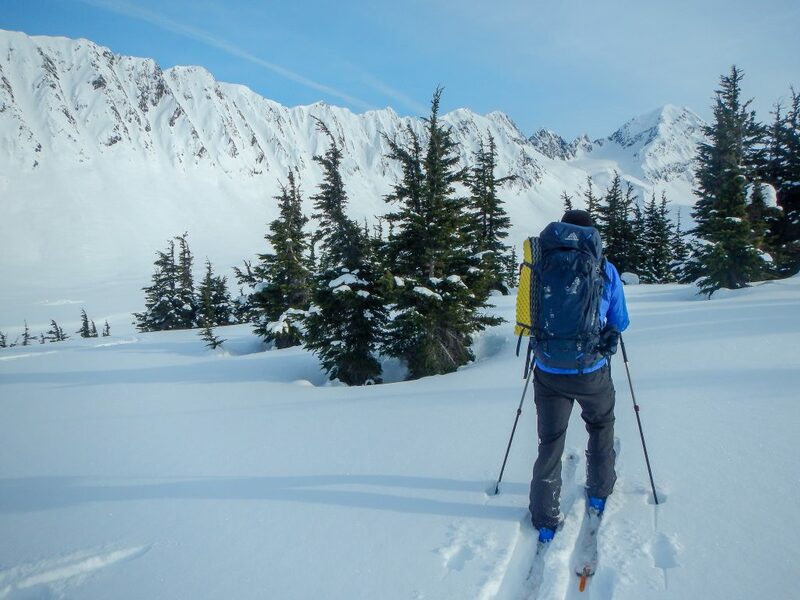 The Gregory Baltoro 65 L is a feature-filled pack that’ll feel comfortable through long days on the trail, and hold up through a beating. I took the Baltoro out on an overnight into the Alaska backcountry in February. 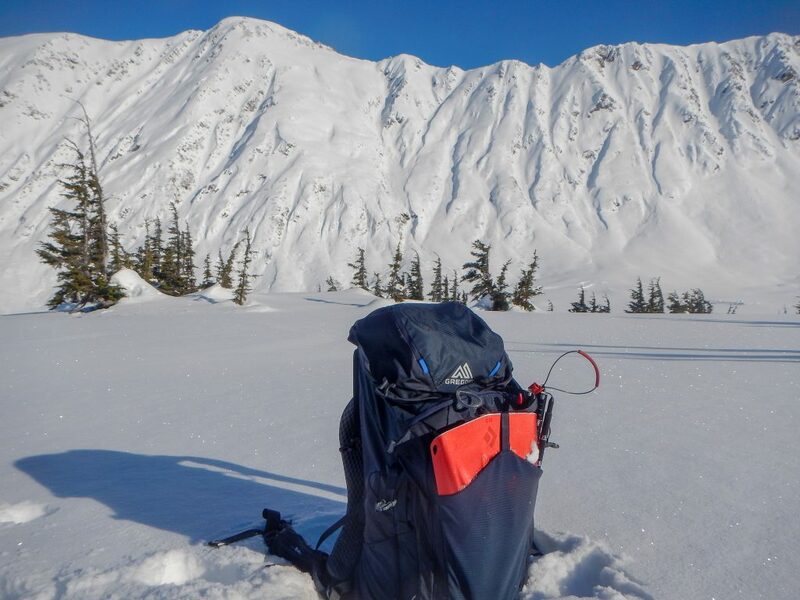 We toured into a valley looking up at a place the locals call “The Library”, weather couldn’t have been better, and daytime temps ranged from 20-35° F.
A lot of the weight of this pack is due to the lumbar support and exceptionally comfortable hip strap. When it’s all strapped down it’s easy to forget that you’ve got a fully loaded pack on your back. In short, this pack looks rad. 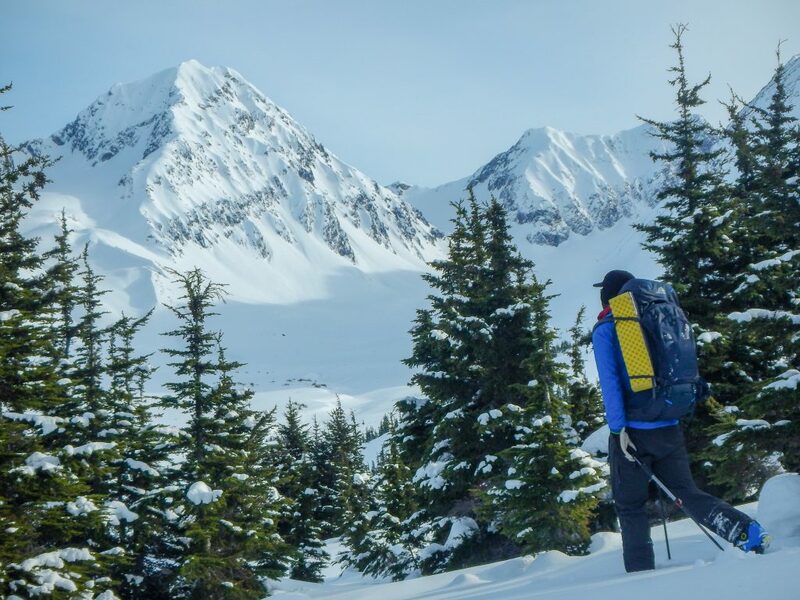 With big brothers in 75, 85, and 95 liters, the Baltoro series has you covered, from overnight winter camping trips, to multi-day summer treks, to big mountain objectives. 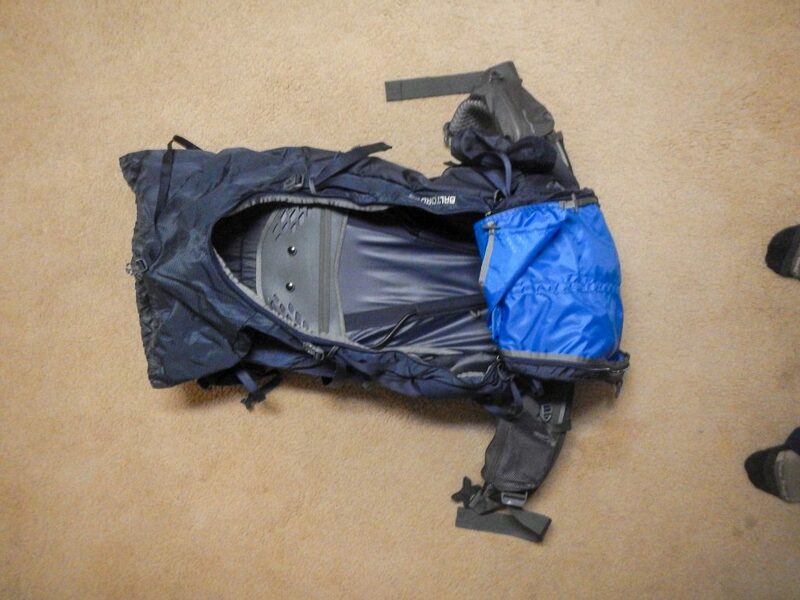 This year’s design of the Baltoro is sleek, but they didn’t skimp on function either. Starting from the top, it has a three-compartment brain which was really convenient. I had goggles and hat in one, essentials in another, snacks in the last. The 3rd compartment is also the dedicated home for the pack cover that comes with the Baltoro, but there’s still plenty of space to pack other necessities in there. 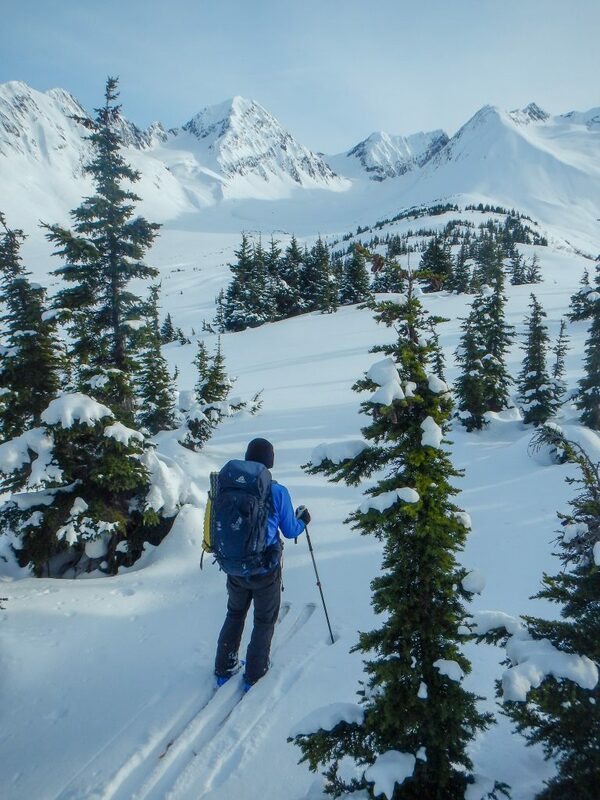 Getting into the body of the pack is easy, with front panel access as well as top and access to the sleeping bag compartment – it’s really easy to get in and out of any section of the pack. The front stretch pocket worked alright as a snow safety compartment, although I prefer to have my shovel and probe inside the pack. There are two zippered pockets on either side of this stretch pocket that would have been perfect for snow safety if they’d been made into only one pocket. That being said, for a pack not designed specifically for ski trips, it worked really well, and was actually very comfortable to ski in, which can’t be said for too many packs of its size. There are lots of straps and buckles all over the outside of the pack, which is my main concern. 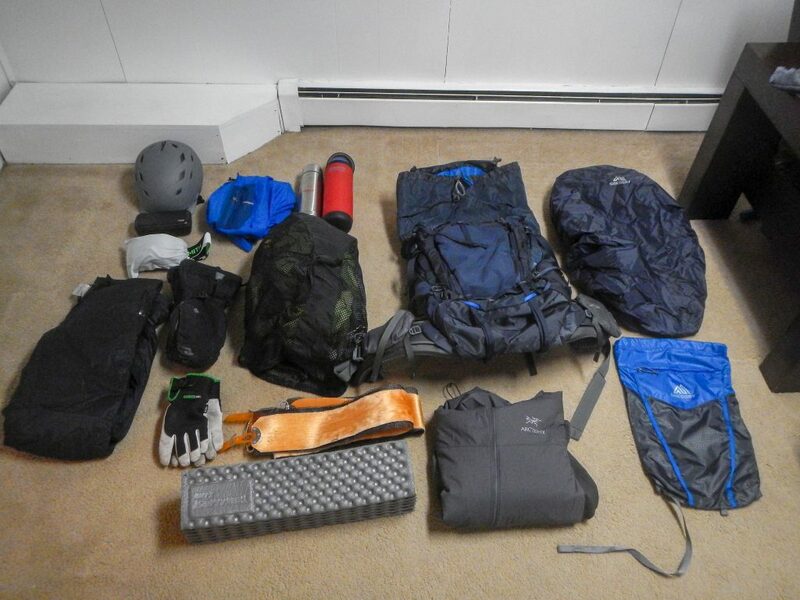 I like to keep all my gear contained within the pack whenever possible (close cell foam pad excluded), so these extras weren’t all that appealing to me, but others may find them useful. I love the hip belt pockets, one waterproof which is perfect for camera and/or phone, and the other worked great as a snack pocket. it also has a water bottle pocket that was big enough to fit a Nalgene in a koozie, which is crucial for winter trips in AK. 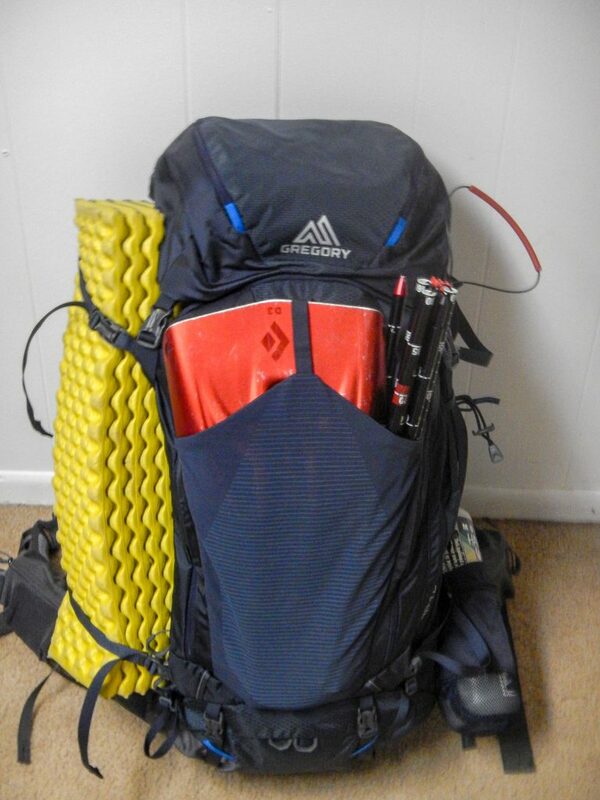 With the larger size pack, weighing in at 5.5 pounds at a capacity of 68 liters, it is heavy among packs in its class. However, the heaviness is balanced by the significant comfort of this pack. When using it on base camp trips, the SideKick daypack is a cool feature, that also doubles as a hydration sleeve, but you can always leave it at home to shed the ounces if you’re not gonna use it. In my use of the SideKick, it was able to hold shovel, probe, puffy and a water bottle, but that was pushing its limits. So far the Baltoro has proven itself in durability. When I first got it I was worried that all the zippers would prove to be weaknesses, but so far they’ve met the challenge. This is a super comfortable backpack, with lots of bells and whistles. The price you pay for comfort is weight – so if you’re the type of person who prefers to go light and fast, it might not be the pack for you. But if you’re looking for all the convenient features, extra pockets, and comfort, you might be okay with carrying an extra pound or two. 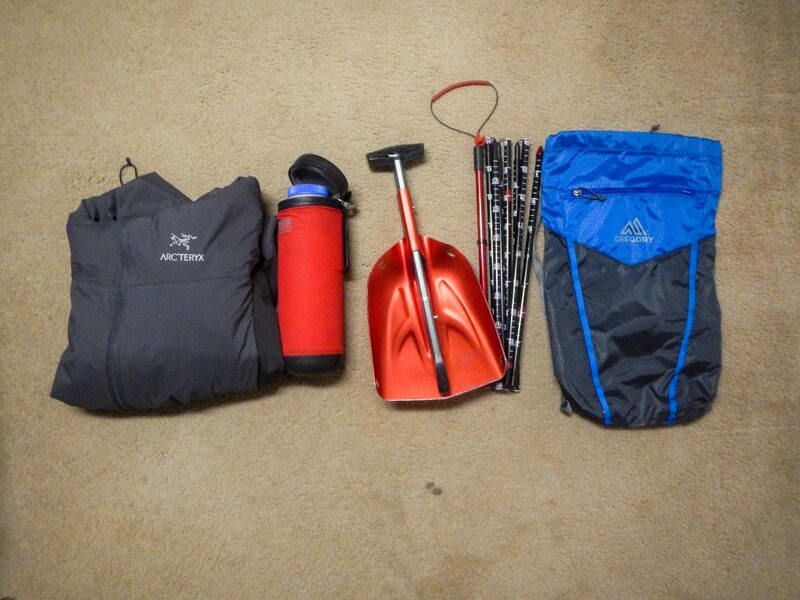 The Gregory Baltoro has been awarded Outside Magazine’s Gear of the Year Award. 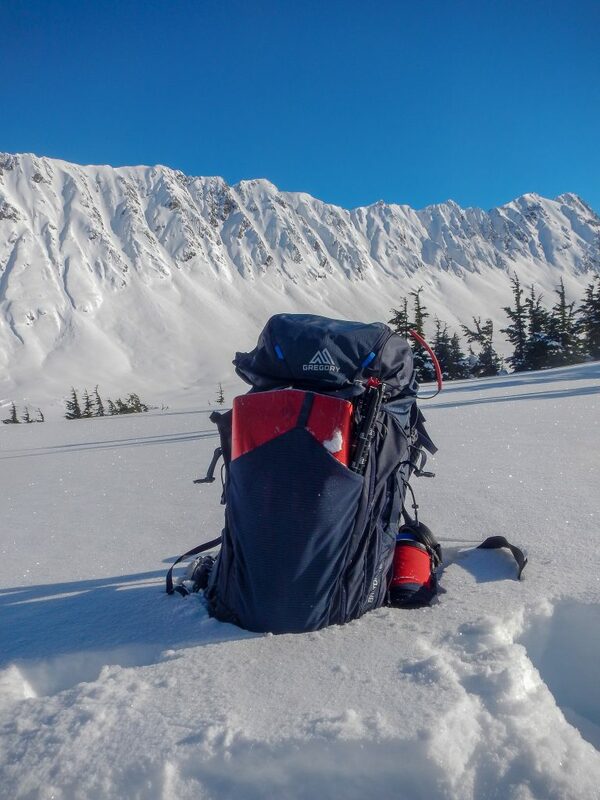 Shop the Gregory Baltoro 65 L on promo now on Outdoor Prolink. Not a member? Apply today! 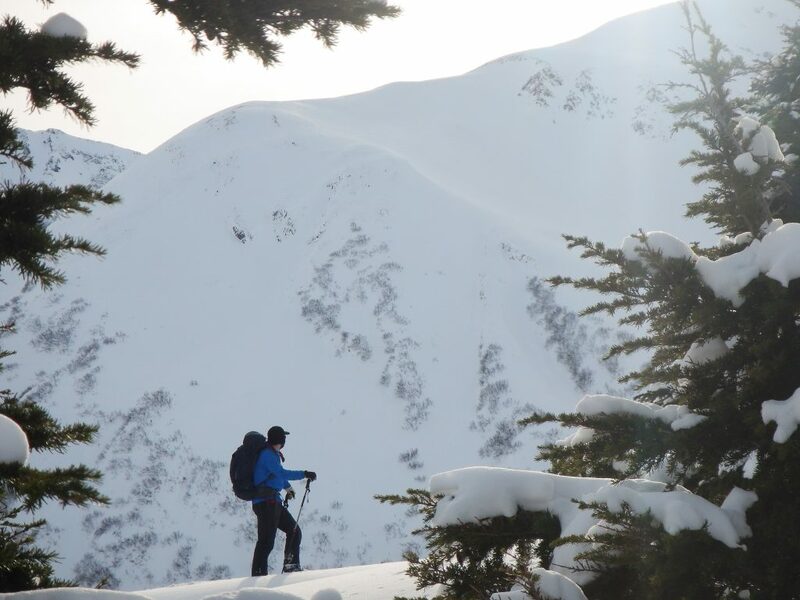 Logan Pitney spends his summers as a guide (ice climbing, glacier travel, rafting) in the Alaskan wilderness of Wrangell-St. Elias National Park. 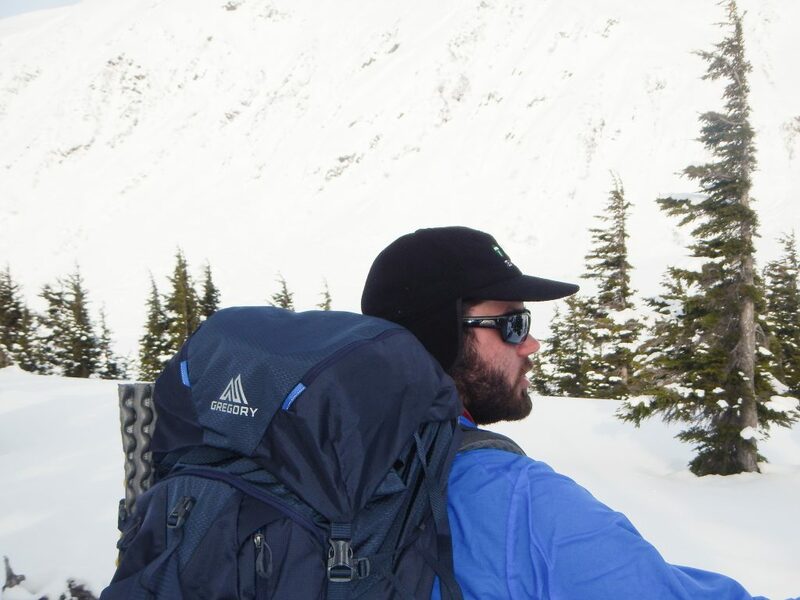 He chases snow and big mountain lines through the winter. If he’s not on skis you’ll likely find him climbing rock or ice.